"I've made a moderately large mistake." I was on my way to the airport to fly to New York for a friend's Arrested Development brunch and season four watching party (a Skip's Scramble, cornballs, "model home fries," fun) when a deer attempted suicide on the Blue Line tracks between Cumberland and O'Hare. All passengers were forced off the train and told to wait for shuttle buses to the two subsequent stops; the impatient among us hopped into cabs with strangers. I think we were talking about American Airlines' attempt to offer frequent flyers unlimited first-class flights for life when one of the guys in the back seat joked of the ill-fated plan, "I've made a huge mistake." We caught the reference, and conversation turned to the sitcom that spawned it. As it turned out, three quarters of the randomly selected people in that taxi (myself included) were excited about and planning on watching Arrested Development when the episodes began streaming on Netflix the following day. That kind of anticipation sure seemed to bode well for Netflix. It didn't do the show any favors. We all got up early on a Sunday, hunkered down on the couch with friends and a platter of Bluth's original frozen bananas. We laughed through the first episode and about half of the second one. Then a phone rang. Or you got up to smoke a cigarette and grab another mimosa. Or spent ten minutes looking at Facebook status updates. Someone started talking about a guy you knew in college getting married and gaining a bunch of weight. Next thing you knew, the Netflix menu screen was idly glaring out at the room all but ignored, begging someone, anyone, to hit play on the fifth episode. Interest in the show waned real fast. To make sure we weren't being unfair, I rewatched the same four episodes alone in a quiet apartment on Monday night. Sure enough, after all of the buildup, it's just kind of a letdown. Well thought-out and funnier than most of television, but most of television is horrifyingly unfunny, especially when it's trying to be. Speaking of huge mistakes, the season has shortcomings. Like the fact that each episode is specific to a single character, a move that tends to undermine the value of the show's great ensemble cast. Maybe it's something they did out of necessity for scheduling reasons, but if you're going to do it that way, I have to seriously question the decision to put a Lindsay episode so high in the batting order. 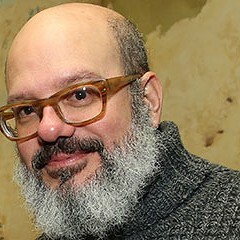 Another thing: who is this Michael Bluth character? Because I hardly recognize him. 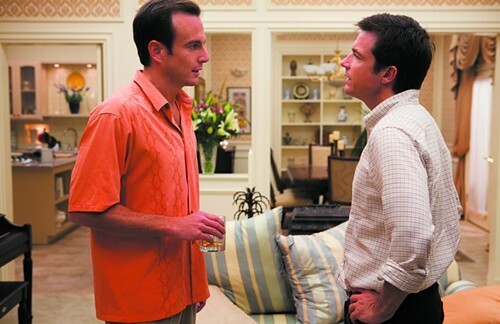 Michael was always positioned as the show's "connecting character," a sane sun being orbited by a bunch of frenetic, morally objectionable planets—the guy we relate to on a show with not a lot of people to relate to. And what do we have now? A Michael who tries to sleep with Lucille 2 and needs an entire episode (and a vote and a long discussion about how the vote should be conducted) to finally just get out of George Michael's dorm room. The idea itself is fine—an oblivious dad taking online courses from University of Phoenix and reliving a mock college experience alongside his son—but it felt tedious. And out of character. There's just a lot of information coming at us in season four. A lot of narration. Lots of flashbacks—and when the newer material isn't quite as strong as the old material, maybe it's smart to avoid reminding the audience about it. Guest appearances tended to be the highlights. Kristen Wiig is a great young Lucille and I especially loved Karen Maruyama as Oscar Bluth's desert-dwelling friend China Garden. She's familiar to me mostly from an episode of Curb Your Enthusiasm in which she plays a parking attendant convinced she's been ripped off by Larry, and I just really love her approach to playing screamingly loud, abrasive, can't-get-a-word-in-edgewise characters. She's great. The show, ultimately, is not great. But hey, it's on Netflix. I'll probably end up watching the next 11 episodes at some point. Gwynedd writes about TV on Wednesdays. The comedian goes on his first stand-up tour in six years. 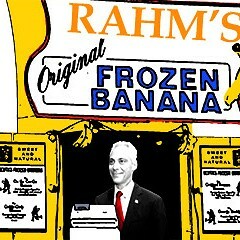 Rahm Emanuel has squirreled away millions in TIF funds he'd prefer not to spend on the schools. But somehow that money is always there when he needs it.